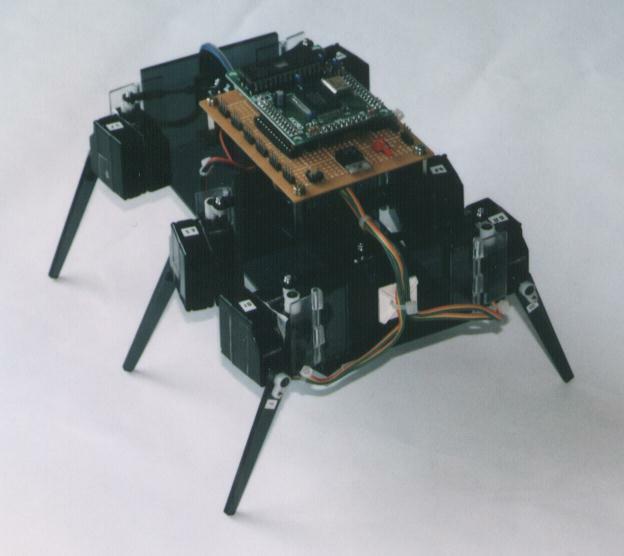 Gokiburi is a 6 legged walking robot loosely based on Genghis of MIT. about 600 gr without batteries. The plexiglass parts weigh 160gr in total. performance (according to the manufacturer!). Speed: 0.13sec/60deg (7V) -This is quite fast!